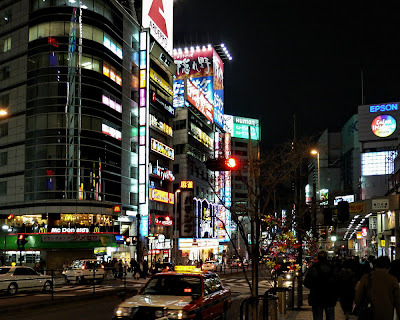 We went into Tokyo on Monday. We had a late start because we had some trouble getting our equipment shipped here to Sasebo. The woman who has been helping us, Leslie, acted as our tour guide. We took the train in to an area known as Ueno then the subway to Asakusa, another area of Tokyo. The first picture I took is of the Asahi Brewery Corporate Building. 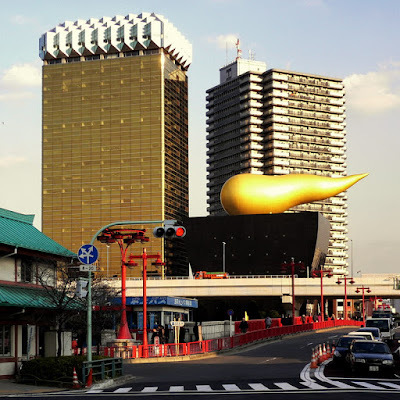 The sculpture is known as the "Golden Turd". At least that is what the tourist call it. I took a bunch of pictures of the Asakusa Kannon Temple. Those will be in a separate post. After walking around and finally eating late we took the subway back to Ueno and walked around there for a while. It was late and I did get a few shots. 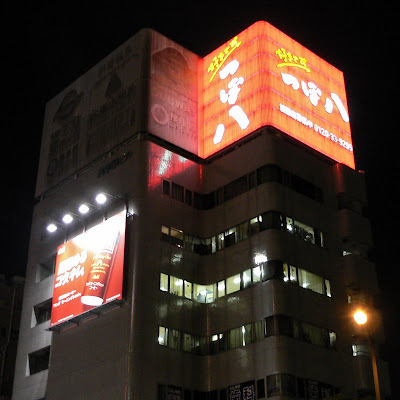 Here's one of a corner in Tokyo at night. Here's another night shot. Can't remember which area this is in. Anyone for a Grand Slam? 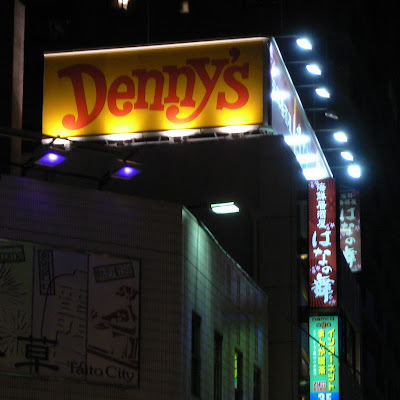 Denny's in Asakusa.